Three weeks ago I had a tonsillectomy and adenoidectomy. 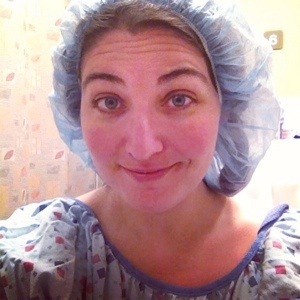 Much to my surprise, I’ve had people ask me to write a blog post full of TMI and the gritty details of recovering from an adult tonsillectomy. 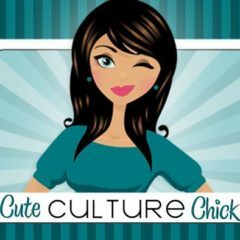 So here’s the full story…you may want to skip this post if you have a weak stomach. I feel like I have a pretty good pain tolerance, but this surgery knocked me down good for two solid weeks, and I’m still not quite normal. I’ve had a few surgeries, and this was definitely the worst. I had spend the previous 6 weeks battling peritonsillar abscesses. Three rounds of antibiotics (IV, shots, and oral) didn’t help. I was not positive for strep. Steroids only worked as long as I was taking them (and I gained 15 pounds in a week from them). In addition, I had a bout of viral tonsillitis and the worse sinus infection of my life within a 2 week period. On my 3rd visit to urgent care, the doctor did a large variety of viral testing. The abscesses were cause by Epstein Barr, which meant I had an active episode of infectious mononucleosis. My ENT doctor said the only way to stop the abscesses was to have a tonsillectomy. So I scheduled it as soon as I could. My tonsillectomy and adenoidectomy (T&A) was done at a surgical center under general anesthesia. This was a relief to me, as an urgent care doctor has suggested that I go to the emergency room to have the abscesses lanced (and would probably just numb me up and take out the tonsils). My doctor used electorcautery, which basically cuts out the tissue and seals it by burning it. Pleasant, eh? The average T&A takes 20-30 minutes to complete. However, my procedure took 45 minutes because there was so much swelling from the peritonsillar abscesses. I was numbed up pretty well when I came back into consciousness. The nurse gave me a few refillable ice packs to help with swelling, and those became some of my most necessary items on my recovery. I got a prescription for both tablets and liquid Lortab Since my gastric bypass surgery, pain meds absorb differently. The liquid works more quickly, but the dose doesn’t last as long (about 4 hours). The tablets are harder to swallow, but tend to last closer to 6 hours. So I played around with a mixture of half-doses of liquid and tablets at once so it worked fast, but didn’t drug me out too much. On my first night at home, I was surprised at how well I felt. I are some mashed potatoes with no problem, and came under the false assumption that recovery would be easy. Boy was I wrong. 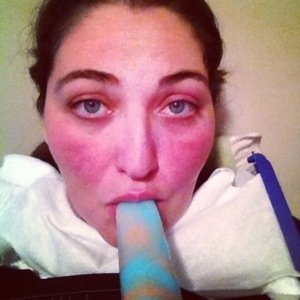 Between post-op days 2 and 8, my pain and misery became progressively worse each day. I kept to a strict dosing schedule for my pain meds, but it never seemed to be enough. For the breakthrough throat pain, I gargled with “mouth magic,” which is a combination of viscous lidocaine and liquid antacid medicine. Unfortunately, the liquid numbs up your whole mouth. I was glad when the numbness wore off so it didn’t make me drool. The day before surgery, I did a lot of shopping…sports drinks like G2 and Propel, popsicles, mashed potato mix, cream of wheat, and broth-based soups. I am a big fan of the real fruit based quality Popsicles, but they ended up being far too acidic for the first two weeks. So many people recommended cheap twin pops and Otter Pops…and they were right. The artificial flavoring and slushy consistency was easier to swallow. Sometimes I mashed up the popsicles and mixed it with diet ginger ale. One of the strangest things for me was how my tease buds changed. I hated the taste of plain water because it tasted like dirt, so I used sugar-free Italian syrups to flavor my giant cups of icy water. I craved black licorice, black olives, and anything really salty. I also craved curry, and it was funny how the slight burn of the mild yellow coconut curry I drank was soothing to the burning pain of the tonsillectomy. I also craved pumpkin at first, but got burned out on it after making pumpkin smoothies and pumpkin protein pudding. Two of the items that were the biggest comfort measures were ice and a good humidifier. 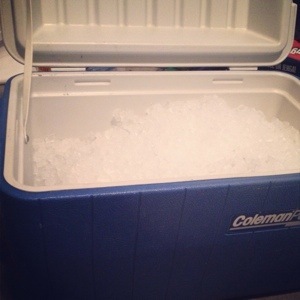 My friend Julie offered to be on ice delivery duty, and brought by gigantic coolers full of pebble ice. When she wasn’t able to be there, I got bags of Sonic’s pebble ice. Between the bags and coolers of ice, I went through over 100 pounds of ice in two weeks. Obviously some of the ice melted in the coolers, but it stayed a better non-clumpy consistency than it would in the freezer. I used a cool mist humidifier constantly. I had it propped up on a table so the mist hit me directly in the face while I laid in bed. When I sipped water or sucked on ice, my throat stayed moist. But when I couldn’t handle swallowing, the humidifier helped make up the difference. The day that surprised me the most was day 10…the day the scabs started coming off. Scabs in your throat sent like scabs on your skin. They are not thick and hard and red. They are white, thin, and slimy. And they hurt like a mother when they slough off. This will happen a few times. Insomnia was a big issue for me. Because I was dealing with acute pain, my ability to sleep was dependent on how long my Lortab dose lasted. I spent a fair amount of time sleeping through the first 10 days, but never more than about 4-5 hours at once. I watched a lot of Netflix and read on my iPad, but dozed off really easily. I wanted to delve into some shows that I’ve been meaning to watch for a while, but my attention span was so short. I ended up spending most of my time watching Gossip Girl and 90210. Don’t judge. Expect to drool a lot. Make sure you have something you can spit into when it’s too hard to swallow your saliva. For me, it was thicker than normal, and was much easier to spit out. Around day 5, I started a gargle routine. First I would swish with warm salt water. Then with the viscous lidocaine. Then with water again. Then with mouthwash. That seemed to keep funky tastes out of my mouth…and keep my bad breath at bay. No matter how much I brushed my teeth, my mouth was not a happy place to be around. I had a hard time with food getting stuck on the healing pockets of my throat once I was back to solids. They would fill up and have so much pressure, it could make me dizzy. I figured out this way to get them out with this open-mouthed gagging neck-scrunching move. It sounded frightening and looked even worse, but it was the only way I figured out to her the stuck food out when gargling wasn’t enough. At three weeks out, I still think a lot of food tastes funny. I want things that are strongly flavored…spicy (but not too spicy) and very salty. I crave drinks with lots of ice, and sip often to keep my mouth moist. My pain comes and goes, and is manageable with Tylenol. The only time it REALLY hurts is when I yawn…it feels like I’m stretching and breaking the newly healed tissues. There are some slightly raw spots in my mouth where the most recent scabs came off. I still feel fatigue, but I think it’s due to all that I’m doing (traveling, moving, etc) instead of just the surgery recovery. I’m up 10 pounds since August, but I know that’s a combination of so many weeks in bed, steroids, and being limited on physical activity. Once I’m back to the gym, I’m sure it will come off without too much hassle. If I’d had the chance to get this done as a child or teen, I would have preferred it. So many years of strep throat and tonsillitis episodes have been rough, but it’s never been frequent enough to warrant surgery. If you ever get a peritonsillar abscess, get those tonsils out ASAP. Don’t wait 6 weeks like I did.